Downey is only about 13 miles from downtown LA. 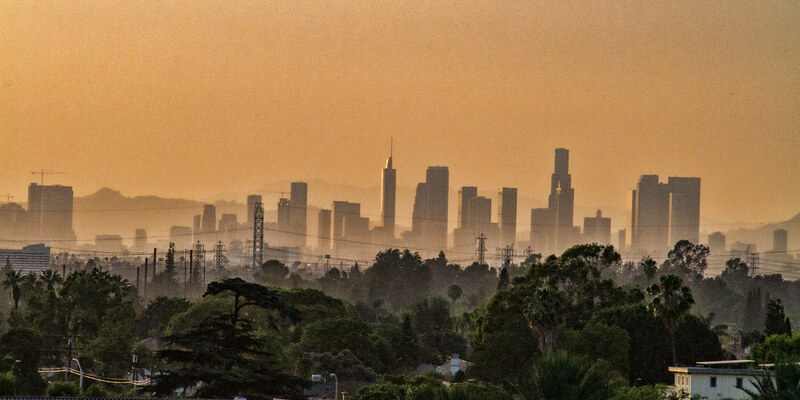 And if you can find a high enough spot, you can often get a pretty good view of the LA skyline. This night the sky was starting to turn gold and there was a haze over the city, but somehow it was still a compelling sight.